As the owner of a business, it is critical to protect every aspect of it. One of the first steps in doing that is securing a trademark. While you are probably familiar with what defines a trademark, you may not be aware of the potential benefits that a trademark provides. 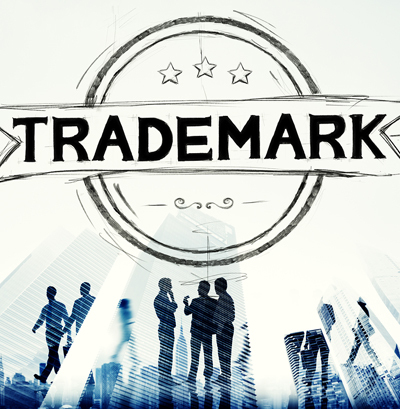 Essentially, trademarks are a way of referring to a specific brand or product-the concept, description, and usage of which is protected from being sold by an individual or company who does not hold the trademark. Consumers often make the decision to purchase something based on how familiar they are with a specific brand, which in turn is protected by its trademark. Thus, it is essential for entrepreneurs and small business owners to understand the importance of trademarks in relationship to growing their business and corporations. Easy to Identify and Recognize: Trademarks make it much easier for your customers to find you. After all, today's marketplace is extremely congested, and it can be very difficult to distinguish your products from those of your competitors. Trademarks have become highly effective tools in which to seize your customers' attention and highlight your products and services. Once your trademark becomes recognizable to a large group of people, your company may develop a reputation, and consumers will be far more likely to trust both you and your products rather than look for other options. In essence, your trademark can be the determining factor in whether or not a customer purchases your product as it ads credibility and authenticity. Effective Communication Tools: Through a brand or logo, trademarks are able to express both emotional and intellectual qualities and characteristics about your business, its reputation within society, and the reputation of your products and services within society. Highly Useful in Hiring Your Team: If you create a trademark that everyone loves, then it will be far easier to hire a devoted, successful team that is efficient, productive, and motivated. After all, if your brand is popular, then everyone will want to be a part of it. Not only will hiring be immensely easier, as the best people will end up coming to you, but employee satisfaction and retention is also more likely to be significantly higher. Invaluable Assets: Trademarks have the ability to appreciate over time, becoming more and more valuable as the years go by. As your business grows, your brand will hopefully also grow. Your trademark adds to your value proposition. They can also lead to further expansion into other industries. Trademarks Provide Opportunities to Successfully Incorporate Social Media into Your Business Strategy: Your trademark provides you with the perfect opportunity to utilize social media to further your brand. Consumers frequently search Facebook, Instagram, Pinterest, Twitter, etc. when searching for a specific product or service, and once your trademark becomes a household name, consumers will soon be searching for it on a variety of social media platforms, which will increase the traffic to your website exponentially. This helps add to your overall brand recognition among consumers. Trademarks are Forever: Trademarks do not expire as long as they are being used in United States commerce. In fact, some of todays most recognized brands have existed for over one hundred years. Pepsi Cola, for instance, was registered in 1896, which illustrates the value of branding and trademarks. On that note, when you are developing your own brand, make sure that you complete extensive research. Double-check to make sure that no one else has created a similar trademark, as the last thing you want to do is infringe on someone else's idea. Furthermore, try to select a logo and a name that is very distinct and recognizable, as this will be much easier to protect in the future. Bottom Line: Trademarks are an essential aspect to growing a successful brand. Protect it now so you can prosper in the future.